John Lewis has kicked off the next phase of its partnership with Age UK with a campaign featuring behind-the-scenes footage from its Christmas ad, "man on the moon". 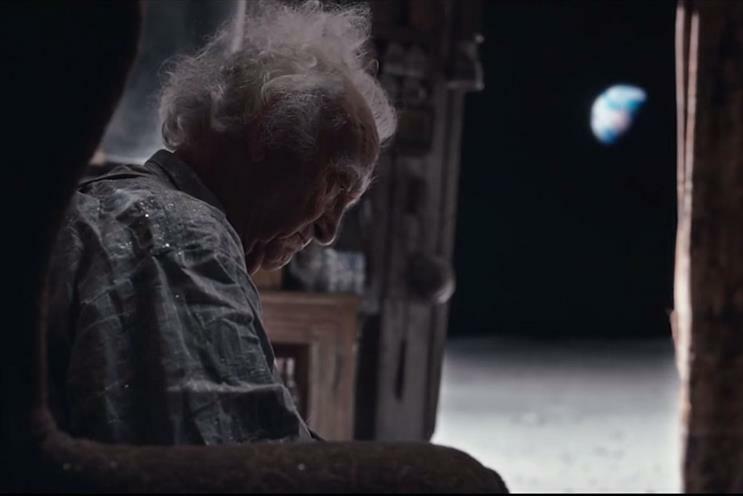 In the John Lewis Christmas ad, created by Adam & Eve/DDB, a little girl tries to communicate with an old man who lives on the moon in a number of ways before sending him a telescope so he can keep an eye on people on Earth. In the new Age UK ad viewers see behind-the-scenes footage of the old man from the main John Lewis ad pottering around the set on his own with narration from Dame Helen Mirren. The ad hopes to encourage people to make a difference to the lives of the many older lonely people. Age UK is encouraging people to donate £5 by texting "moon" to 70111 or visiting the Age UK website. The Age UK film was directed by Kim Gehrig through Somesuch and created by Miles Carter and Sophie Knox, alongside the main John Lewis ad. It is the first time John Lewis has allowed footage from one of its highly anticipated Christmas ads to be used to promote another brand or cause. As part of the partnership John Lewis stores will be raising money for Age UK as well as partnering with the charity for a social gathering such as a Christmas lunch. John Lewis is also donating money from the sale of "man on the moon" mugs and Christmas cards to the charity.